What is the best way to handle my getting paid? Should I receive payroll from the LLC as an employee? I am a 50% partner in an LLC (it has one other partner who also has 50%). Only I will get my regular pay/fees from the LLC. After that pay and all other expenses, my partner and I each own 50% of the profits. What is the best way to handle my getting paid? Should I receive payroll from the LLC as an employee? Or should I be an independent contractor and receive a 1099? If it is possible for me to get a 1099, then that would be beneficial as I have many other expenses associated with my work for the company that would be eligible for tax deductions. Our Response – By working for the LLC there are two ways to be paid which would be as a salaried employee or an independent contractor. If you are an employee, there is an additional payroll expense. If you receive 1099 income, this income would be reported as self-employment and would be taxed as such. In most cases being classified is going to be taxed lower than as an employee since the payroll taxes won’t have to be paid. If you are an LLC and pay into unemployment benefits, can you lay yourself off and collect employment benefits? If an LLC pays an employee, and thereby pays unemployment insurance, then a laid-off employee can collect unemployment benefits (provided all the other requirements are met). Your question seems to be, can a member of an LLC pay him/her self a W-2 wage and then lay herself off for unemployment benefits? No. The unemployment statutes prohibit the owner of the business from laying him/her self off and collecting unemployment. If the LLC elected to be taxed as a corporation, and you paid yourself a wage for a time, and then stopped paying yourself, your eligibility for unemployment depends on your state. Some states, for example, prevent corporate officers who own more than X% of the company stock from claiming unemployment (in Washington, for example, it’s 10%). “Self-Employment Assistance offers dislocated workers the opportunity for early re-employment. The program is designed to encourage and enable unemployed workers to create their own jobs by starting their own small businesses. Under these programs, States can pay a self-employed allowance, instead of regular unemployment insurance benefits, to help unemployed workers while they are establishing businesses and becoming self-employed. Participants receive weekly allowances while they are getting their businesses off the ground. How Do I Pay An Employee If I Have An LLC? hi im thinking of going llc i have a small concrete finishing business and i want to protect my assets im thinking of like a partnership type thing with my wife but how do i pay employees or other people that help me without going through the hassles of payroll and other tax issues. If you have an employee, then you must go “through the hassles of payroll”. This is regardless of whether you are a sole proprietor, LLC, corporation, partnership or other. The first is to use a payroll service to handle these hassles. Quickbooks has a payroll service that is affordably priced. For a reasonable price, Quickbooks payroll service will handle all the taxes, withholdings, and so one that must be done. The second solution is to treat your workers as independent contractors. In that situation, you would withhold nothing from their paychecks, and instead issue a 1099 at the end of the year. What Happens If I Don’t Want To Draw Any Kind Of Money Out Of The LLC? With a single member LLC the questions here are concerning most of the times how to “pay yourself”/how to get money from the LLC bank account. What happens if I don’t want to draw any kind of money out of the business ? Remember, though, you still have to pay taxes on the LLC’s earnings, even if you don’t withdraw the money. Because you pay your share of the LLC’s taxes out of your own pocket, the IRS doesn’t care if you leave money in the LLC. All the above assumes that your LLC is taxed as a sole proprietor or partnership, and you did not elect to be taxed as a corporation. How do I as sole member of my LLC with the S-corp election pay myself? Do I need to set up a payroll and go through that process? When taxed as an S-corp, there might actually be an advantage in terms of Self-Employment tax by paying yourself as a W-2 payroll employee. Each active member of an LLC which is taxed as a partnership owes Self-Employment tax on his or her share of the LLC’s net income. If your LLC is taxed as an s-corporation, you will pay Self-Employment tax on the portion of your LLC’s net income that you receive in salary. The rest of your income you can choose to receive as dividends–which has no Self-Employment tax. Well, guess what, the IRS already thought of that, and they require that owners of s-corporations (or LLCs taxed as s-corporations), pay themselves a “reasonable salary”. Whatever the agent auditing your LLC decides is reasonable….ok, that’s a bit cynical. You are probably safe if you pay yourself a salary at or above the average for the job that you do for your company, in your area. In terms of the logistics of paying yourself, you would use a payroll service for wages (salary), and a check for your dividends. No withholdings are needed on dividends, though they are on wages. Wages/salary are deductible from the LLC’s profits as a business expense. Dividends are not deductible. I will be the only one member in my LLC. Means only owner and only employee. I have one full time job as well. My LLC would be IT staffing and consulting company, so I don’t need any employee and even I don’t have to work daily. 1.Do i need to take salary every week ? 3. How many different kind of taxes i have to pay, where and when ? 1. As a single member LLC owner and sole employee, you do not need to take a salary every week. In fact, you don’t take a “salary” at all–you simply take profits from the LLC as you earn them. This means you could pay yourself every day, or only once per year. 2. If your LLC earns a $50,000 profit, then what will happen is this $50,000 profit is recorded on your personal federal income tax form 1040, on Schedule C (I’m assuming here that you have chosen to have your LLC taxed as a disregarded entity). In addition to federal income tax, you will also have to pay self-employment tax. You calculate self-employment tax using Form SE on your 1040. Self-employment tax is the self-employed business owner’s equivalent to an employee’s Social Security and Medicare withholding taxes. Instead of withholding each pay period, as the owner of a single member LLC, you pay your self-employment tax at the end of the year with your federal income taxes. Because you live in Texas, I’m not going to discuss state income taxes, as Texas does not levy income taxes. 3. As I said above, a single member LLC’s owner will pay federal income taxes, as well as self-employment taxes. In addition, you will have to make quarterly estimated income tax payments. Some people think that making quarterly estimated tax payments is something employees do not have to pay. That is incorrect. As an employee, your employer withholds federal and state (except for Texas, of course) income taxes from each of your paychecks and sends the money to the IRS each quarter. In other words, your employer is an unpaid tax collector for the IRS. As the owner of a single member LLC, you don’t have an employer to withhold your income tax payments, so you have to do it yourself. The form for calculating your quarterly estimated taxes is Form 1040-ES (for EStimated). If you make a mistake and underpay your estimated taxes, you will be liable for interest plus a penalty of 1% per month. B. 90% of what you end up owing at the close of the current tax year. 4. If your LLC doesn’t do any business during the year, then it will not have any income or expenses to report. You simply fill out your Schedule C with zeros. It will be a very easy form to complete! 5. Closing an LLC in Texas is not difficult. The formal name for closing an LLC is called “dissolution”. In Texas, you file a Form 605 Articles of Dissolution. 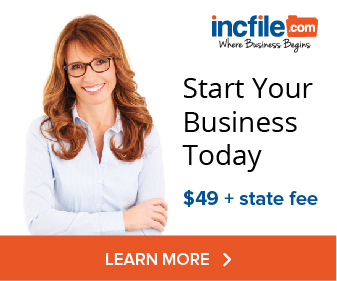 The filing fee as of 2008 is $40. Other states will have similar forms (though with different names, form numbers, and filing fees). 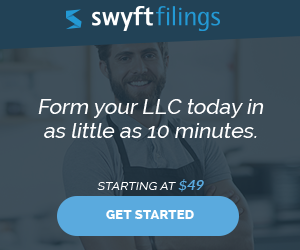 Should I Pay Wages If The LLC Isn’t Profitable? If I have a single member llc and i am the owner of the entity and the entity is not profitable. Should i still pay wages and issue a W2 to my self to protect against piercing. Can i just have a due to account on the books for accrued compensation to show that i will eventually get paid by the entity. If the entity is not profitable, how are you funding your paychecks? Are you borrowing money from a bank or other lender? Are you lending your own money to the llc and taking back a note? Are you accruing expenses to outside vendors but not paying them, and instead paying yourself? If you pay yourself “W2” wages (as opposed to taking a draw from your llc’s profits), remember that the llc must withhold payroll taxes, pay its share of payroll taxes, and make quarterly deposits of the same. Good follow up questions, but you did not provide answers…. What is the implication if you loan personal start-up funds to your LLC and then it is not profitable? I would assume your “pay” is just a loan repayment. Should you charge your LLC interest, at a reasonable rate, so you will actually make some money from your LLC? I would assume at some point the LLC makes money, but what is the implication if you need an additional loan to keep the LLC running? Can you keep loaning personal money to the LLC while simultaneously withdrawing loan payments (with interest) back to yourself? Extending a loan is not a taxable event for either party. Repayment of loans are not taxable either (for either party). So your LLC can keep taking losses while making payments on old loans, and you can extend additional loans as well. Be sure to create a paper trail in the form of promissory notes for the loans, and identify the payments as loan repayments (make up a payment schedule as well). Charge a reasonable rate of interest. If the LLC is losing money, a tax deduction from the loss will flow through to the owners. This is regardless of whether the LLC has money in the bank due to additional loans.